To install the Dashboard you will need to download and install PHP 5 for windows at PHP.net on your Labtech server. Afterwards download the SWVDB zip package and unzip to c:\inetpub\wwwroot\SWVDB. Go into this directory and find the header.php file and open it with notepad. You will need to edit the LT server address, Username and password for the LT database access to work. Once completed you should be able to browse http://your.labtech.server/SWVDB/ and get the dashboard. Now to have the dashboard auto load in the console for everyone who uses support console go to your LT config dashboard -> Config -> Control Center and set the Initial URL Value to your tested URL from above. 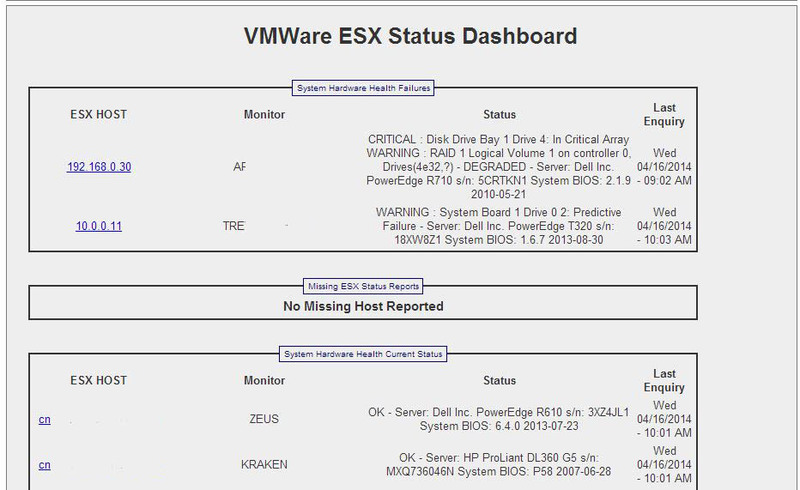 Some widgets may not function correctly if you are not using the source data tables and extra monitor scripting I’ve made available like the Squidworks ESXi Health Monitor for Labtech located at ESX Health Monitor, The Dell Appassure Backups/Failures also requires my Appassure Backup Scripting to populate the database with data. You must edit the index.php page in notepad and uncomment the 5 function calls noted in index.php for ESX and Appassure counters to function. They have been commented out so that you do not get errors if tables are missing. Install both ESX and Appassure packages before uncommenting code block. It would be a good idea to indicate which PHP options you require as the php installation asks questions I have no idea how I should be answering. Hello The AppAssure Scripts are not available the page comes back 404 not found. and could you tell me how to implement them as well? I have not officially released the Appassure Scripts yet. I will get those out in my next post. To avoid more problems/requests of this type maybe it would be a good idea to check if the appassure stuff is installed and just return nothing if its not. Its going to be pretty likely other people will install this without having (or needing) appassure scripts. First off, THIS IS AWESOME! Thanks for sharing. Several years ago I worked as a PHP developer for 4-5 years. So I’m very comfortable (but very rusty) getting around in PHP. Something I noticed in the code was that you were connecting to the database multiple times (once per function call) and the page load times on my system were anywhere from 12 to 20 seconds. So I hacked on the code a bit and changed it to use a single DB connection and pass that into each function, then do a mysql_close() in the footer.php file. Now my page load times are consistently just over 1 second. I’d be happy to share some of my tweaks back with you and others. Would you consider hosting this on github or similar to allow others to contribute to the code for everyone’s benefit? I agree with Ian, a little more help on how to install/config PHP for us non-PHP guys would be helpful. I’m not sure what I should be doing, but would love to see this tool in action. Thanks. That would be great, If you would like to collaborate and setup a repo to store the updates then sure lets get people in making tweaks and additions. I would make a how-to for you but there are so many on the web already that I will just link you to a few. Looks like Windows is not setup yet to push *.php files to the php interpreter. Make sure ISAPI is pointing .php to C:\php\php.exe or where ever you installed it to. Next make sure there is a “default page” set to use index.php as a page type. if you get an error then PHP is not setup correctly in Windows IIS. Take a look at the links above and make sure PHP is working on your site. Thanks for the information. I have PHP installed successfully and ran the test which produces a proper PHP Information page (all based on the first link you provided on installation of PHP). Now when opening https://my.rmm.com/swvdb after modifying the labtech.php I get a blank page. Did I miss something? I’m running PHP Versions 5.2.28 if that matters. Thanks. So this is my first attempt at Github. Hope I started this off right. For now it’s just a fresh copy of the original files as provided by Cubert above. Once I get some time I’ll merge in my updates for optimizing the DB connections. If you have any PHP coding skills or heck, even if you don’t, feel free to jump in and let’s see what we can come up with together! Just a special note, you dont want this php file sitting on public IIS, plus direct access to your LT DB. 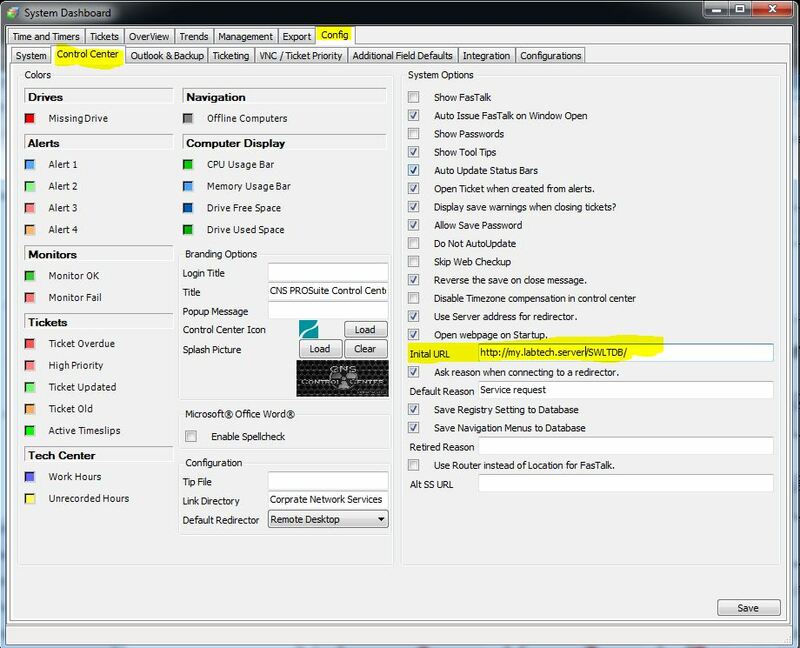 If you dont want to enable Basic auth, you can do IP restriction filtering on the sub-folder only in IIS. Works great w/o dealing with passwords. We work alot from multiple locations, so that helped alot on the WAN. Spin a nix vm and run on sandboxes nic with apache web server. My question is where is the updated .php file? And also, any chance on a refresh using Dashing? Ok…so this is my second and third attempt to get this installed and working and no luck. I’ve got PHP 5.5.18 installed to C:\PHP, copied my php-production.ini file to c:\windows as php.ini, modified as specified, copied the SWVDB folder to c:\inetpub\wwwroot as specified, changed the header.php file, installed FastCGI and configured as specified, and still cannot get this to work. C:\PHP\php-cgi.exe – The FastCGI process exited unexpectedly. I have reviewed a dozen times, followed all the suggestions and nothing. Anyone have any suggestions on how to get this resolved?